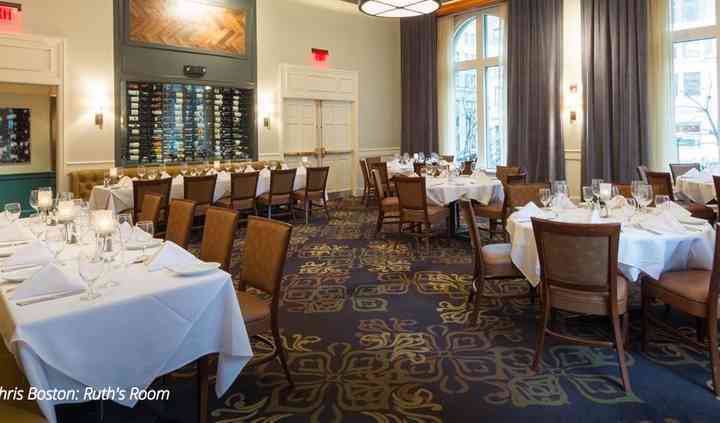 Ruth’s Chris is an elegant wedding venue in Boston, Massachusetts. The popular restaurant is a customer-focused option for hosting your wedding reception, bridal shower, ceremony, engagement party, rehearsal dinner, or elopement celebration. Popular months at this eatery include March, May through August, and December. The setting itself is a star, making for a neat backdrop for your photos, particularly on the front steps of Old City Hall, where the restaurant is located. 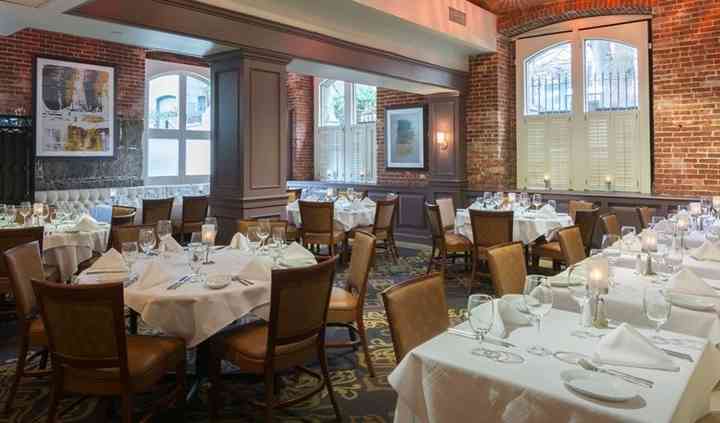 Sixty-five people can have a seated meal at Ruth’s Chris in the Ruth’s Room, the largest dining area, which also offers a view of the Old City Hall courtyard. If you’re hosting a cocktail reception, 100 people could easily mingle about the room. 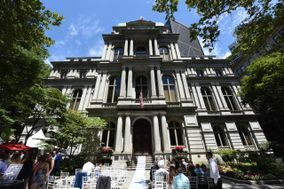 Other private space options include the Capital Room, Kevin White Room, Board Room, Vault Room, and Freedom Trail Dining Room. Depending on your needs, some of the dining rooms include a large TV, which could be used to show a home video or other footage. Ruth’s Chris will provide the barware, linens, flatware, china, and glassware. They offer all-inclusive packages, lighting and sound, and will take care of setup and teardown. Ruth’s Chris offers off-site catering, too. If you’re looking for an external food provider for any of your wedding events, allow them to create something memorable from their catering menus; options include petite filet, salmon, and seasonal mini desserts. Valet parking is available at Ruth’s Chris. Decorations also are part of the mix with this venue. Highly recommend Ruth's Chris for a wedding reception, 5 star service and treatment! Our guest's were wowed with the venue, staff, and of course food! Kandis, Marin, and the service team are ... Read more fantastic!! The historical setting set it apart from other venues. Cocktail hour and the first dance was held on the outdoor patio and the reception in the Ruth Room. The ceremony was at the Old South Meeting House, another historical landmark that was only a few steps away. Ruth's Chris exceeded expectations!! The staff at Ruth's Chris really thought of everything and helped us make informative decisions so our day would go smoothly. Kandis and Alex were great to work with and laid everything out for us at ... Read more the very beginning and followed through with what we were hoping for from our wedding day while keeping everything very reasonable. There were adjustments that had to be made due to weather conditions and they handled it very professionally and made the event look beautiful and flawless. We didn't have to worry about any of the service since the staff was very good at looking after our guests, served everything well and cleared everything. It was unbelievable! Of course, the food was also phenomenal on top of the great service. All the guests kept raving about it! Ruth's Chris made the whole day very easy and all of our guests had an amazing time, which was absolutely wonderful! Everything went great! Thank you Kandis! Read more Everything went great! Thank you Kandis! Plan Early and receive a bonus. Earn $50 Bonus card for every $500 you spend on your private dining or off-site catered event. Events must be booked August 13th - October 29th, 2018 and held November 23, 2018 - January 13, 2018 (excluding Christmas and NYE). 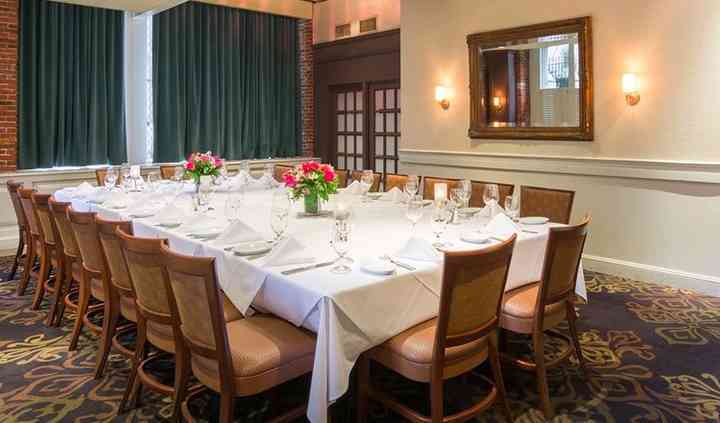 Event must be held in a private dining room or catered off-site. Food and beverage minimum must exceed $500, not including tax, gratuity or miscellaneous charges.